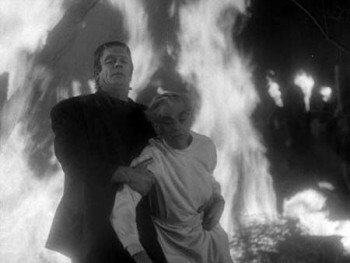 HOUSE OF FRANKENSTEIN , back in 1944, gave GIs 71 minutes to take their minds off hitting an unfriendly beach and home front kiddie audiences another excuse to play hookey. For TV-raised boomers of the 50s and 60s, it was an essential piece of the Universal puzzle: safe ranking as a blitheringly silly horror show of the kind that used to turn up on late-night weekend Monster Hours. Nutjob ‘Dr. 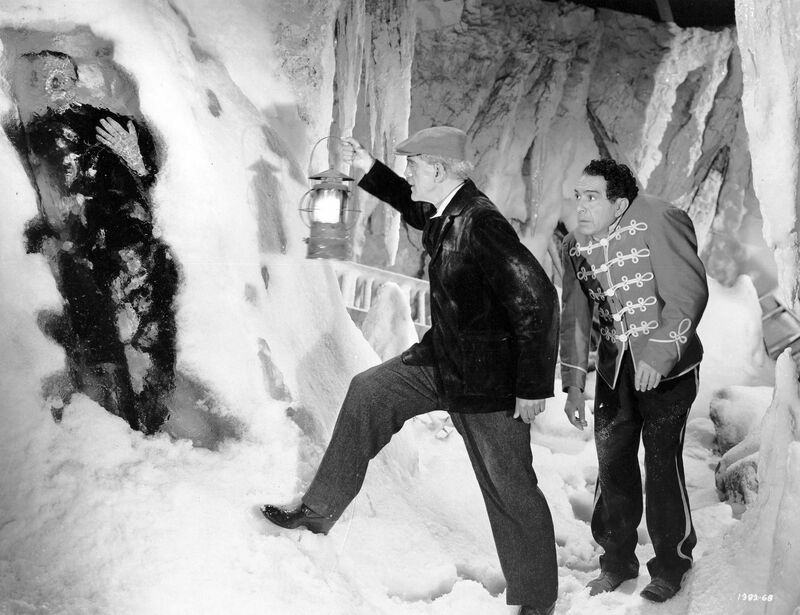 Gustave Niemann’ (Boris Karloff) and his lickspittle hunchback pal (J. Carrol Naish) escape from prison. Within a few minutes, they’re joining a travelling freak show that’s exhibiting the staked-bod of Count Dracula (John Carradine, probably as suave as he ever looked), and digging in the ruins of the castle previously blown up in Frankenstein Meets The Wolfman. That pair get revived, which the local population of village babblers can hardly condone, and a trail of bodies strews the foggy landscape. 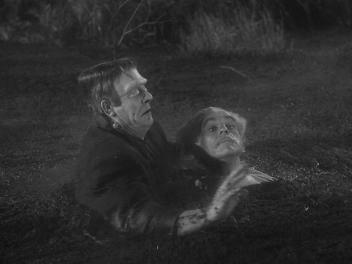 Lon Chaney Jr. is ‘Larry Talbot/The Wolfman’ for the third time, Glenn Strange plays the Frankenstein monster for the first of three outings. With Elena Verdugo (doomed gypsy love interest), Anne Gwynne, Peter Coe, Lionel Atwill, George Zucco and Sig Rumann. 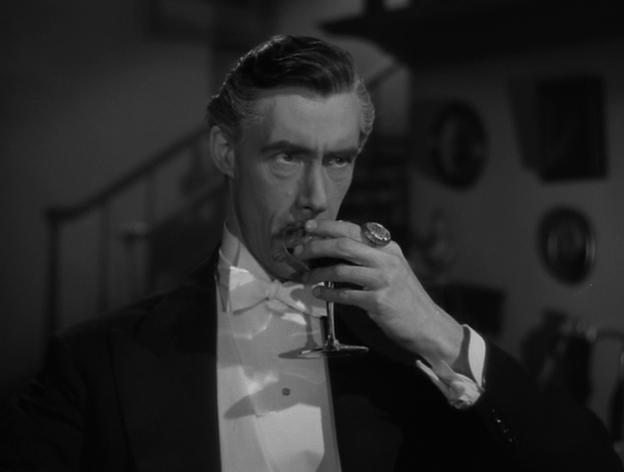 Erle C. Kenton directed. Historical trivia note: Ms. Verdugo’s Spanish ancestors had once owned the property that Universal Studios occupied.